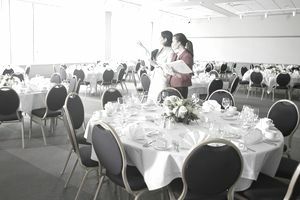 Whether you are a corporate event planner or an administrative person, the basics of event planning require you to have strong organizational, communication, and documentation skills. Regardless of your level of experience, even a hospitality enthusiast can put on an amazing business event with a little bit of creativity and a lot of organization along the way. But when it comes to event planning, particularly for busy event planners with more than one event on their books, staying organized can be a bigger obstacle than most realize. Organization is one of the many keys to success for most event planners. Not only can mastering organizational skills lead to less stress, but it can also enhance your creativity as an event planner allowing you to see the bigger picture and think outside of the box knowing that you have a firm handle on the details. Here are a few ways that successful event planners stay organized. Creating event and event planning binders is probably the most efficient way to stay organized for planning seminars, conferences, internal training, executive meetings, and all types of events. While many event planners are moving to more electronic and digital organization tools, physical binders can serve as the place for the most important event and program details. Keeping hard copies of certain documents, notes, and other details can be a lifesaver over the life of an event. With your event planning binder updated regularly, you’ll easily share information with your internal colleagues and clients, even if they don't give you much time to prepare. While your event binders should include all of the most important details of each event in hard copy, the rest of your reference notes, ideas and correspondence should also be kept organized and together. Today, many event planners use event planning and management software, but many more are looking to online file storage options to keep organized. Online tools like Google Drive and Dropbox can provide an organized place for all sorts of electronic documents from spreadsheets to invoices. These tools allow you to upload, store, and organize documents into online files and folders where they can be easily accessed from anywhere. You can open documents on your laptop, smartphone, or tablet. You can also easily attach those files to emails or share the document with colleagues, vendors, and clients. It can be the perfect organization solution for event planners who are always on the go. In the end, how you organize your documents, notes, and correspondence is up to you. Every event planner has a different system that works for them and their events. The most important factor should always be accessibility and readiness of information. So make sure that whatever system you use, you can quickly and easily locate the information you're looking for.